With changing economic times, Kolkata is also pacing up into this modern era, leaving behind the post-colonial strings attached to it. 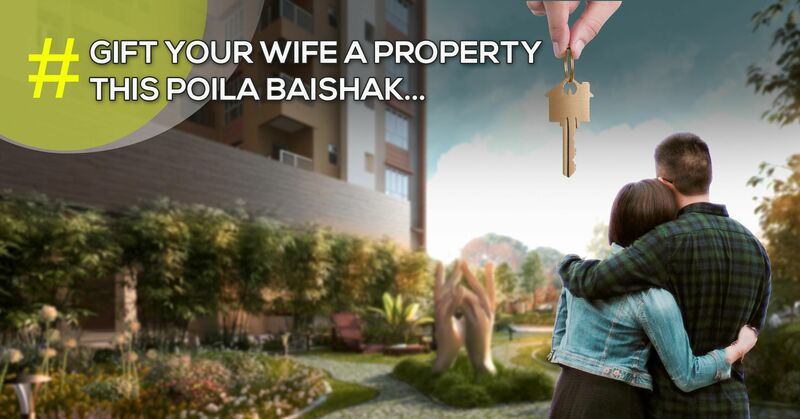 There has been an exponential growth of residential projects in North Kolkata over the past decade. Progressive state-of-the-art apartments are coming up in the City Of Joy and StarOm Millenia is one of the best upcoming residential complexes. Located on B.T. Road, North Kolkata, this project enjoys the perks of well-connected transport system across the other parts of the city. In today’s hustle and bustle city life, everyone tries to avoid the traffic to save some time. Staying in a prime location from where you can access your daily commutes, is what everyone looks out for before investing in a property. To ease your life and make your travel hassle-free, StarOm Millenia has all the coign of vantage of a good location. 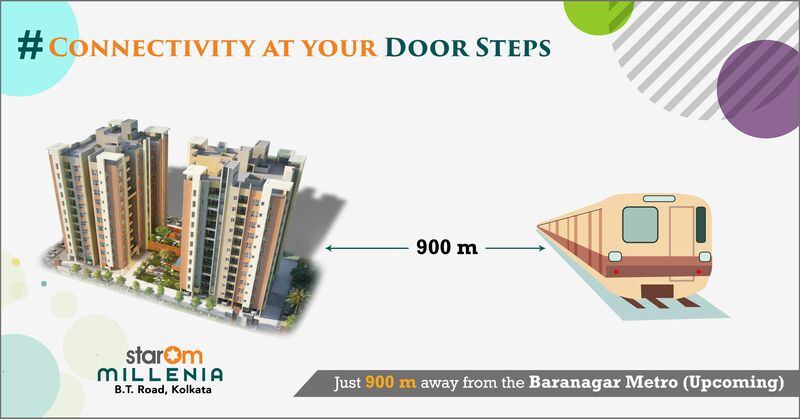 The upcoming Baranagar Metro railway station is just a 2 mins walk from here. Connecting Noapara to Dakhineshwar, this metro station is at a crucial junction as it will take off the pressure load from the roads passing along B.T. Road and the nearby suburban railway. With its ideal location and vicinity to the upcoming Baranagar Metro, StarOm Millenia is the most sought-after residential project in North Kolkata. So, why wait any longer? Book your new apartment here, today! And, enjoy a multitude of ultra-modern amenities with a luxurious and comfortable lifestyle along with ease of connectivity.